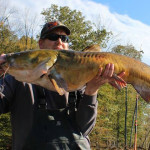 4′ long and weighing 59 lbs this monster was caught on 1/3 of a gizzard shad on a 8/0 Gamagatsu circle hook with a 10 oz inline lead on the James River in Virginia. 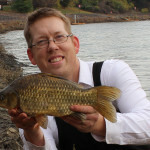 A beautiful day fishing with my usual three rod set up on bit alarms. 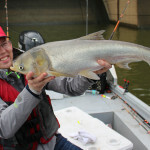 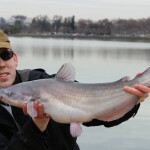 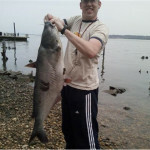 A 30+ pound blue catfish on the Potomac. 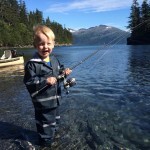 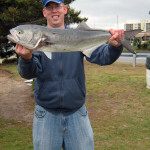 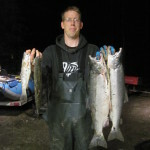 Caught with cut herring on a hi-lo rig and a 10′ Lamglass surf rod. 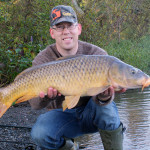 A nice 25 lb common carp caught on #6 Korda wide gap hook with maze on a hair rig. 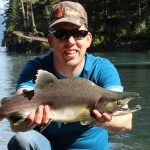 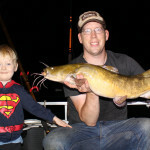 Used a Cabelas Mag Touch spinning rod with a Daiwa Regal Z bite-n-run reel and 20lb Spiderwire. 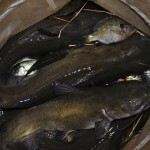 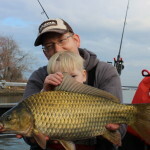 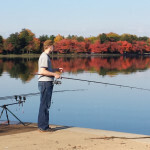 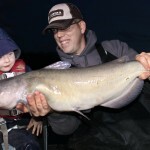 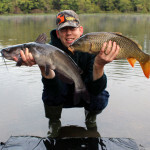 Surf fishing, carp fishing and cat fishing have a lot in common. 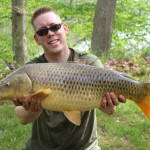 Its all about bait fishing from shore. 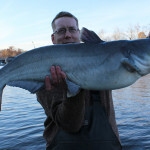 I caught this 38″ blue fish on the exact same rod, reel, line, rig, hooks and bait that I have used to catch big cats in freshwater. 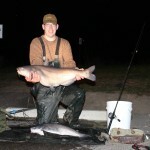 25 lb blue catfish caught on cut shad and 8/0 circle hook. 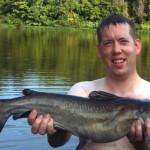 Sometimes landing your fish requires going for a swim. 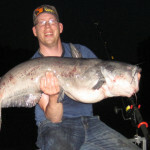 69 lb 49 inch blue catfish caught on the James River on cut shad and a fish finder rig. 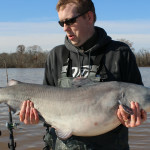 46 lb blue catfish from the James River, caught on cut shad. 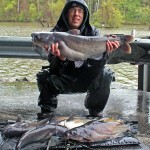 A wicked double: 41 lb and 30 lb at the same time from the James River. 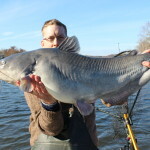 A beautiful 40 lb blue catfish from the James River. 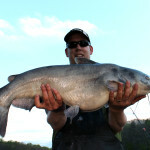 A 33 lb blue catfish from the James River, caught on cut shad. 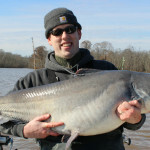 30 lb blue catfish from the James River, caught on cut shad. 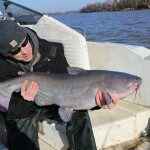 A nice 25 lb blue catfish caught on the James River. 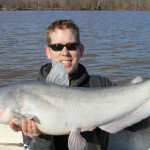 24 lb blue catfish caught on cut shad from the James River. 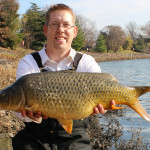 A nice 20 lb carp I caught on my best winter stick mix: bread crumb and sweet corn coated in a Nash sweet corn attractant. 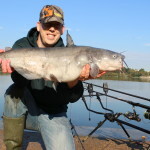 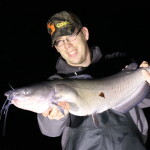 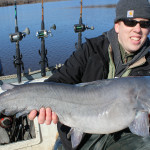 A nice little 10 lb blue cat caught on two kernels of corn and a pva stick mix. 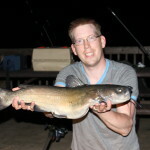 A 8 lb channel catfish caught on cut shad and a 4/0 circle hook with a fish finder rig and a 2 oz inline lead. 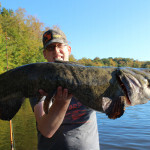 I caught this 28 lb beauty on the Occoquan River using cut shad, 6/0 hook, a Cabelas mag touch 7′ bait caster and an Abu Garcia Revo Inshore with 40lb Spiderwire Stealth braid. 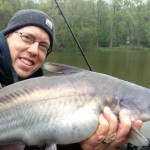 A nice selfie of me and a respectable 10 lb blue catfish caught from my canoe on the Occoquan River, Va. 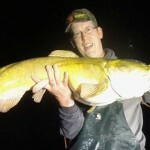 This 14 lb mirror carp from the Occoquan reservoir is kind of rare. 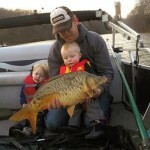 We don’t get a lot mirror carp in Virginia. 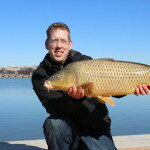 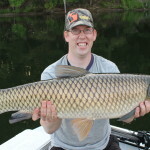 A 29.5 lb grass carp I caught in Northern Virginia surface fishing with floater pellets. 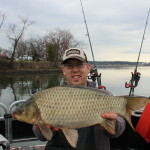 I was using a Daiwa Bite-n-run reel and a Chub Outkast 6′ stalker rod. 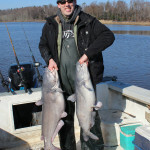 A 14 lb and 5 lb blue catfish from Occoquan Virginia. 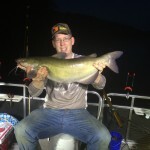 Caught on cut shad and a circle hook from kayak. 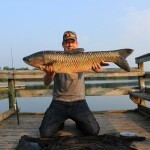 29 lb grass carp caught on surface pellets and Kryston Bogey using a 6′ Chub Outkast Stalker Rod and a Daiwa Reel. 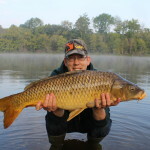 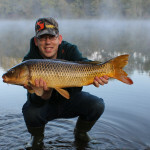 A beautiful average sized carp on a foggy workday morning. 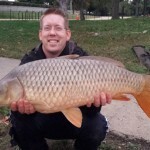 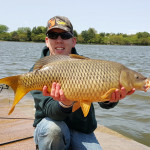 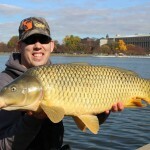 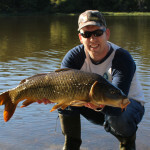 A beautiful 20 lb carp caught on feed corn before work. 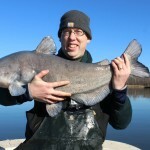 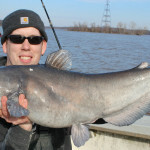 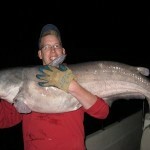 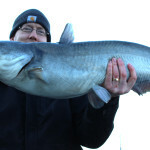 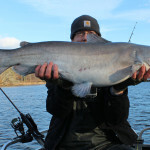 18 lb blue catfish caught on pro-cure chicken liver and an egg loop knot. 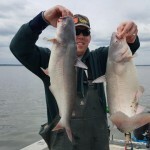 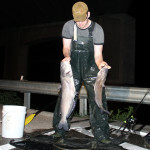 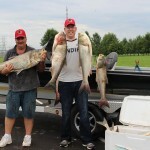 Two 18 lb blue catfish both caught on cured chicken liver with Pro-Cure and then released. 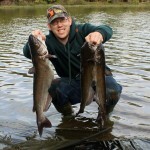 Landed a triple! 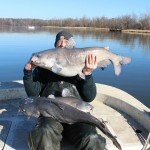 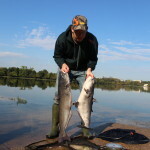 Three channel catfish on three rods at the same time. 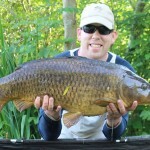 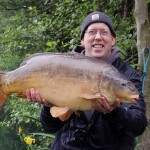 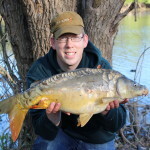 All on plum boilies from Dynamite Baits. 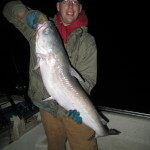 24 lb blue catfish caught on frozen shad in the Occoquan river. 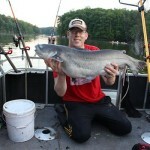 26 lb blue catfish from the Occoquan River. 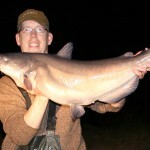 A nice 30 lb catfish caught on frozen shad. 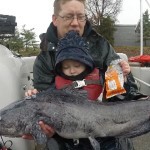 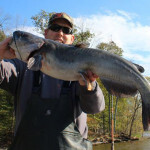 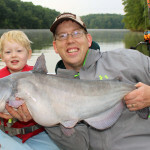 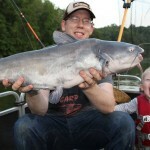 channel cat caught on a live blue gill in Occoquan Reservoir. 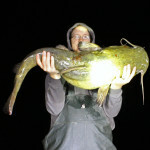 27 lb flathead caught on live bluegill. 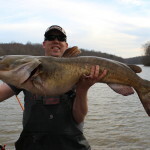 37 lb flathead caught on live bluegill. 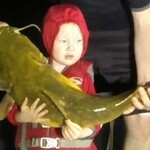 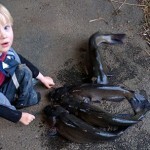 My son Tommy with a 25 lb flathead that he helped me with. 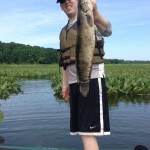 35 lb flathead on live bluegill. 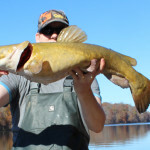 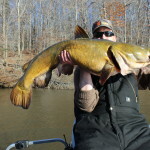 10 lb channel cat on live bait, Occoquan Va.
40.5 lb flathead caught on live shad. 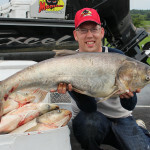 nice channel caught on live shad. 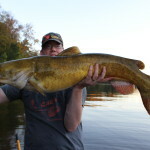 38 lb flathead caught on live shad while on a date with my wife. 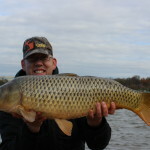 19 lb carp on bird seed and corn. 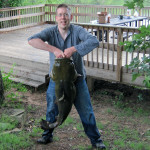 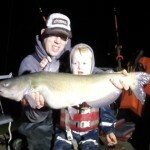 23 lb channel catfish caught on #6 blow back rig and enterprise pop up corn and a panko pack bait. 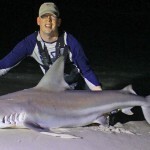 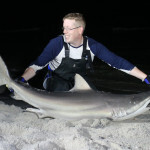 A nice 6-61/2 foot sandbar shark caught in Panama City Beach Florida, from the shore. 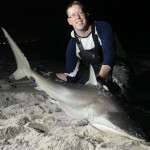 76 inch spinner shark caught in Panama City Beach Florida, from the shore. 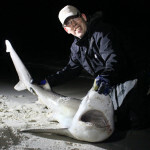 A nice 5-6 foot sandbar shark caught in Panama City Beach Florida, from the shore. 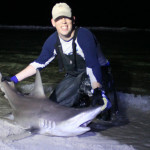 A nice 5-6 foot spinner shark caught in Panama City Beach Florida, from the shore. 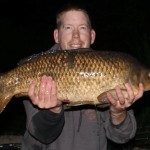 5 lb F1 Carp – Crucian Carp and Common Carp Hybrid. 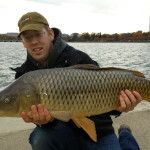 Caught on fake corn and a panko pack bait. 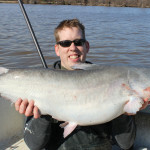 30 lb blue catfish caught on bluegill. 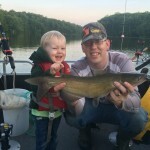 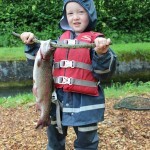 Nathan’s first fishing trip and first mirror carp. 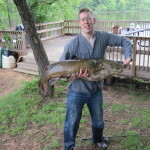 A snakehead caught in Northern Va.
Tommy and I with a blue catfish from an overnight trip. 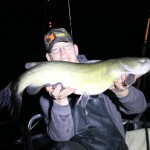 A nice little flathead from an overnight trip with Tommy.